Many businesses are finding themselves moving from hard-copies to digital copies in a world that is becoming more and more technology-driven. 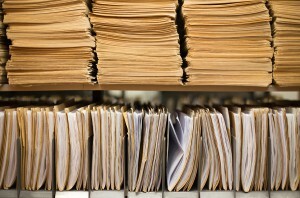 Now with two types of mediums to handle, managing the information and documents can become a confusing and tedious task. 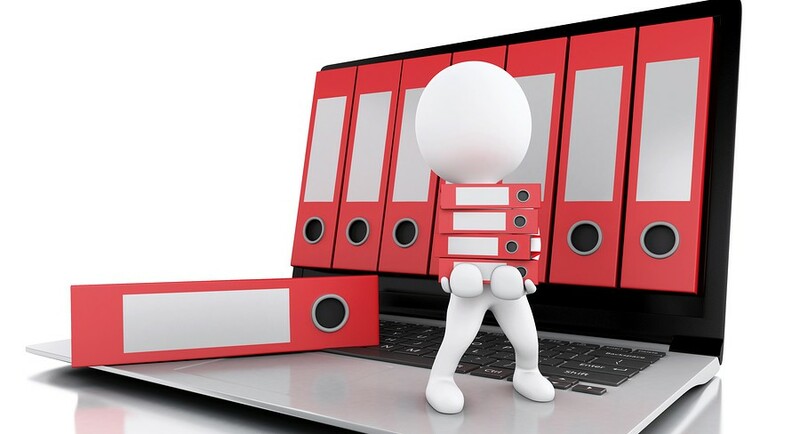 Besides the environmental benefits that a paperless document management system provides, one of the biggest draws to implementing a digital records system is the accompanying organization and convenience. Have a plan! Document the plan so that everyone in your organization is well aware of the protocol. Stay organized! Don’t let bad habits make things more confusing for you in the future. Keep it simple! Try not to over-complicate your new system. After all, this is intended to make your life easier. These concepts are fully explained below so that you can get on your way to a more efficient and organized office right away. 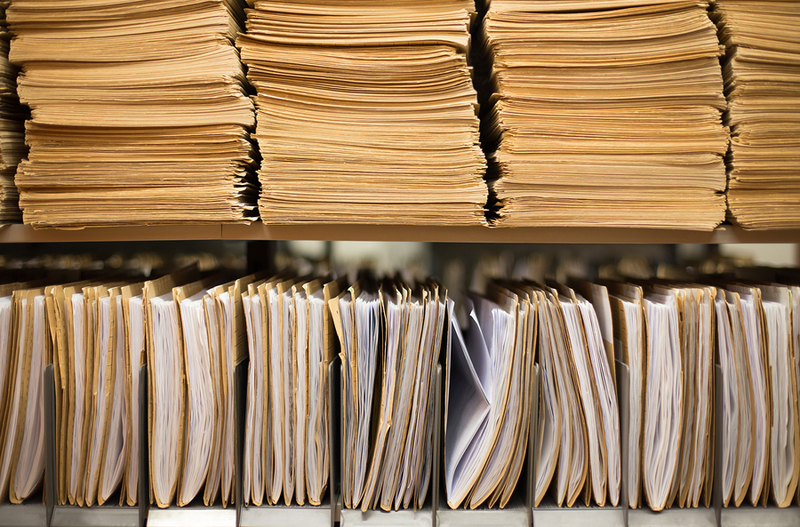 Once you make the constructive decision to adopt an electronic record storage system, you’ll want to thoughtfully plan out the process so that you can get the most out of your new protocol. The most important way to reap the benefits of a digital record system is to keep everyone informed on the plan and document it well. When using a hybridized system of electronic and physical document copies, be sure to plan which copies you will keep digital and which will continue to be used as hard-copies right from the beginning. A good way to make this decision is to only keep hard-copies when it is an absolute requirement, whether by legal requirements or company policy. Once you decide which types of files are to be converted and/or kept digital and which types of files are to remain hard-copies, clearly document this so that all employees are educated on this distinction. Also be sure to maintain a proper procedure for documenting whether a file is in digital or physical form in order to stay organized. With a proper plan in place, the next thing to remember (especially in the beginning of implementing a new system) is to stay organized. Make sure that your plan is rigorously followed in the beginning to develop proper habits for your employees in the future. One way to ensure your plan is being carried out properly and productively is to perform periodic checks on the system to make sure everything is still organized and easy to use. Simplicity is the key to organization and efficiency when beginning a new record storage system. You adopted a new document management structure to make your life easier, so don’t overcomplicate things! First and foremost, ensure your initial plan is easy to follow and understand. Additionally, make sure your system is working to make your company perform more efficiently. If you are not seeing results, consider revising your plan or contacting your provider to optimize how your storage system is operating. Deciding on the proper electronic record storage system will depend on your organization’s needs. Business who require regular access to their documents will work best with a hybridized system. This service entails offsite storage facilities being used to keep the physical files that are rarely used along with the regularly used files kept in the office and implementing an electronic storage database for files that can be kept digitally. For companies who do not require physical copies of documents, transitioning to a fully electronic document management system is definitely a viable option. With Record Nations and our wide selection of electronic record storage companies working together, your solution for implementing an efficient and secure record storage system is just minutes away. Give us a call at (866) 385-3706 or fill out the form on the right to receive your free quotes from experienced record storage services in your area!